You can still eat to get big even if you are intolerant to gluten. Learn about your wheat-free mass-gaining options. 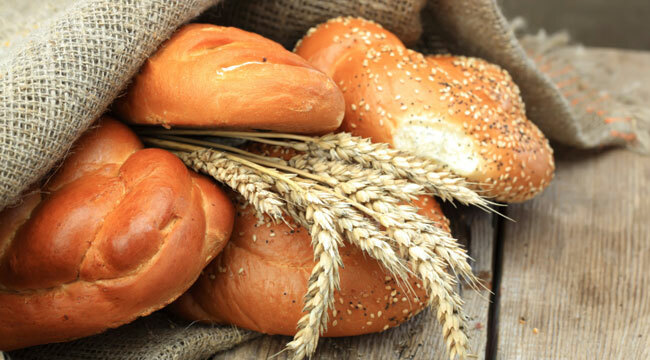 Gluten is a protein found in grains like wheat, semolina, and spelt. It’s essential for baking and is part of what holds breads together so they don’t fall flat like a pancake. It’s also used as a thickener and binder in soups, stews, and even lunch meats. As you’ve discovered, a small (but rising) percentage of the population doesn’t digest it well and can suffer from bloating, stomach pain, and diarrhea as a result. To keep eating big, you’ll need to rely on alternate grains like rice, buckwheat, millet, flax, and quinoa. Potatoes, corn, and tapioca are common gluten replacements, so look for breads that contain these ingredients instead of wheat. Oats do not contain gluten, but they’re often processed in facilities that also process gluten-containing grains, so they’re often accidentally contaminated with gluten. Finally, switch to fresh, thinly sliced chicken breast to make sandwiches.